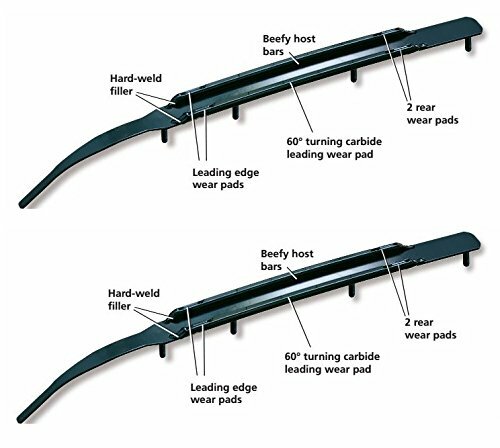 Eliminates darting, 2x more carbide than the competition, Large 2" pieces of 60 deg turning carbide, Front and rear wear pads, Hard weld filler, 2 - 1/2" host bars welded to a mounting plate, Wide 1 1/4" spread between host bars, Eliminates ice damming - No more floating skis, Extra long mounting bolts for easy installation, Power steering for your sled. If you have any questions about this product by SnowStuds, contact us by completing and submitting the form below. If you are looking for a specif part number, please include it with your message.